PokerStars won’t be intimidated, the Amaya-owned poker network answering its critics and high-volume players that participated in a three-day strike in early December by saying the public boycott was ineffective and only strengthened the company’s views that its new direction is correct. Dani Stern and more than 2,500 players opted to keep their chips to themselves December 1-3 to protest incoming changes to PokerStars’ VIP program, specifically the elimination of the Supernova Elite tier. 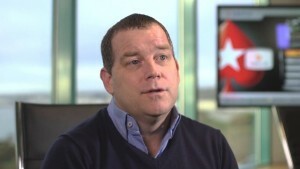 Stern encouraged players to schedule withdrawals and resist the urge to play, but thanks to the Christmas Calendar promotional series, the sit out failed according to Amaya executives. PokerStars is adamant about improving its rewards structure to entice more casual poker players to its tables. With its impending arrival in New Jersey, likely to commence in the first six months of 2016, the platform understandably wants to appeal to as many customers as possible. Team PokerStars member Daniel Negreanu has been in the middle of the controversy, as the legend has been doing his best to communicate with disgruntled players and convey that the changes will be beneficial in the long run. Stern’s consolation for his efforts is an apparent meeting with Amaya CEO David Baazov. “Well one good thing to come of this: According to @RealKidPoker, we will be getting a meeting with Baazov,” Stern tweeted. It remains to be seen whether PokerStars and Amaya’s strategy is truly intended to aid players, or if it’s just another scheme to line the pockets of the company’s publicly traded shareholders. So far, it’s been a tough holiday season for Amaya investors. Shares were trading on NASDAQ around $22-23 dollars in November, but upon hearing that Amaya was downgrading its adjusted net earnings for 2015, the stock tumbled to below $14 as of mid-day trading on Friday. Amaya named the strengthening US dollar as reason for the revenues disappointment, a citation that financial experts claim is nothing more than a scapegoat for poor performance. On Wednesday, Hollreiser also blamed the almighty dollar for PokerStars’ retention issues over the last several years.